No one denies the intermarriage but that did not change the the feudal relationship existed at the time. I do not deny there are local feudal but we know who the majorities were. Why is the thousand Ethiopian students took the street and shouted land to the tillers. Most of us know the relationship before the 1966, before land to the tiller. We know the relationship between the land owners and the tenants. I wish this writing includes that. Yes, it is true the people mentioned born and raised in Gondar and Gojam to understand what was the relationship then. However, the son and daughters of the tenants clearly know the experiences of their parents and their localities. Let the youth of 1966 who participated in the Edget Behbret campaign talk on their experiences at the time and how many of them died in the redistribution of lands and who pulled the trigger. Let history be told as it existed and do not tell us unbaked or half truth. 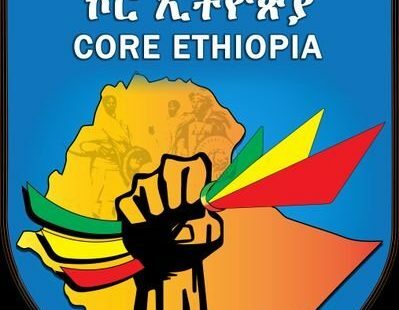 አማርኛው ካልጠፋብኝ በስተቀር “አማራ” እንጂ ዐምሐራ ሲባል ሰምቼ አላውቅም። ያው ቅጡ የጠፋበት የሃገራችን ፓለቲካ የዘራው እንክርዳድ ያመጣበን የጎሳ ፓለቲካ ህዝባችንን ካደናበረው ዘመናት አለፉ። ትላንት በህብረተሰባዊነት ስም ሲያፋልሰን የነበረው ቁሳዊው ርዕዮተ – ዓለም ዛሬ መልኩን ቀይሮ በወያኔ መሪነት ቋንቋን፤ ዘርን፤ጎሳንና ሃይማኖትን ተላብሶ አጥር በማበጀት ህዝባችንን እያባላው እንደሆነ የየቀኑ ዘገባዎች ይመሰክራሉ። በየክልሉ የምንሰማው ለአማራ ህዝብ እንታገላለን፤ ለኦሮሞ ህዝብ እንሞታለን፤ ለትግራይ ህዝብ ነው የሞትነው ዛሬም ህግ ካልተከበረ ህግ የሚከበርባት ሃገር እንድትኖር እናረጋለን በማለት በየጎጣችን እንደ አውራ ደሮ እንጮሃለን። ይህ በታኝ ፓለቲካ ለማንም አይጠቅምም። ዛሬ ክላሽን ይዞ አካኪ ዘራፍ ማለት ጀግንነት አይደለም። ረሃብንና ድንቁርና ለማስወገድ መታገል እንጂ። ያንተ ያንቺ ኦሮሞ አማራ ትግሬ ሃረሬ ወዘተ መሆን ለነጩ ዓለም ደንታ አይሰጠውም። በወል ስም ነው የምንታወቀው “ጥቁር ህዝቦች”። አውቃለሁ አንዳንድ ሃበሾች ጥቁሮች አይደለንም እንደምትሉ። ያው ግብጾች አፍሪቃ ላይ ተቀምጠው አፍሪቃዊ አይደለንም እንደሚሉት ነው። ያልሆኑትን ሆንኩ የሚል የቀን ቅዥት! ኑሮአችንን ያጣፍጥ ይመሰል መቀላመድ!